Well, not so much a sentinel, more like a butler really, well versed in the finer points of luxury living; a guardian of all things well to do. It’s got elegance no question about that, a sepia toned snapshot of an era when the landed gentry came to the Med in search of the exotic; the swaying palms, crystal chandeliers, and tea at 4pm on the sumptuously large terrace. 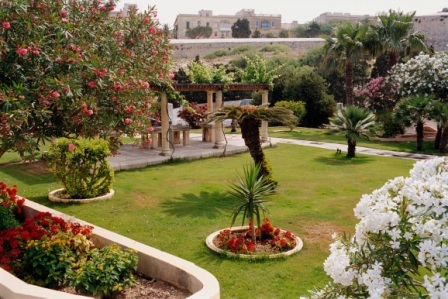 And, unusually for Maltese hotels, a huge garden at the back; for leisurely strolls through tropical flora down to the pool area perched atop one of Valletta’s huge bastions, the vast expanse of the Grand Harbour glistening far below. Yes, The Phoenicia has all the trappings of a traditional grand luxury hotel, although some might say its elegance had faded of late, the Grande Dame in need of a little cosmetic surgery perhaps. No sooner said than done it seems, as a refurbishment program is well under away and by the end of March 2014 all the rooms will have had their makeovers, bringing The Phoenicia back to her Sunday best. The styling and soft furnishings brought bang up to date leaving the original character and charm of the rooms intact. 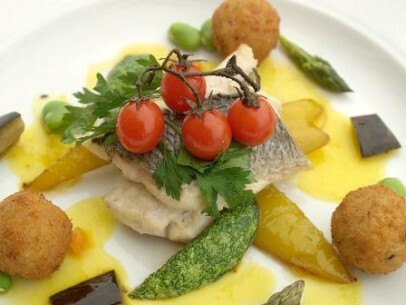 There’s a new Head Chef, Saul Halevi who has already commandeered parts of the gardens for his own devices, growing herbs and vegetables for serving in the main restaurant and in the newly installed Pegasus Restaurant, a celebration of Maltese and Mediterranean cuisine where over 80% of the food is locally sourced. Look out In particular for Granny Smith apple pockets with a local red shrimp tartar for a starter followed by fresh wild Meagre on a bed of spinach, grilled fennel and black olive powder.Not forgetting a triumph of home made Maltese finger pastries with local honey for dessert. 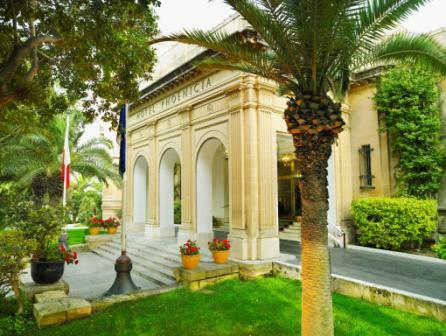 Even ancient Valletta herself, on the hotel’s doorstep, is enjoying a bit of a makeover too, like an older sister who doesn’t want to miss out on the fun. There’s the new opera house and city hall project well underway and the after dark night life is enjoying a resurgence. So the grand sentinel has a spring in her step these days, as they say there’s no substitute for experience. 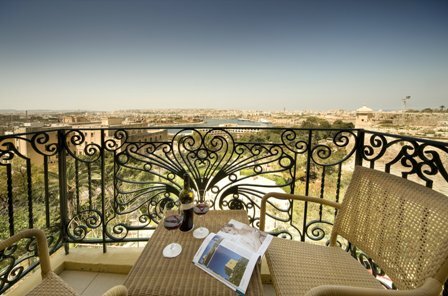 Rooms at the Phoenicia Hotel start from £104 per night. 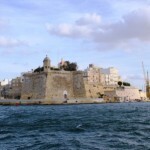 To book visit www.phoeniciamalta.com or call 0800 862 0025.